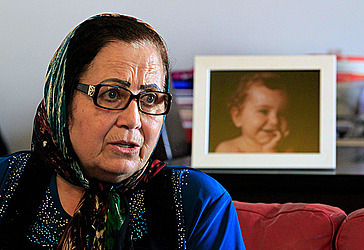 The abductors made sure her son was not with them, Berri speculated, speaking at her Beirut apartment. Behind her, a photo of Lahela as a baby stood at the dining table. Earlier, her son had gone to a club he owns near Beirut but four people who had called and made an appointment for a wind-surfing lesson never showed up, she said.